Discolandia closed January 16, 2011. This post was published on July 22, 2010, and was written by Melissa San Miguel. Ritmo Latino, Virgin Megastore, Tower and Mission Music are all gone. 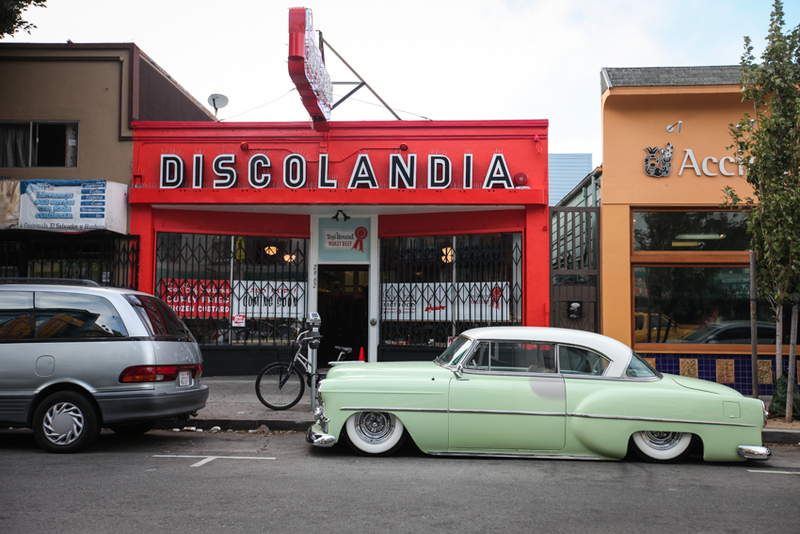 But on any given day, customers still drop by Discolandia on 24th Street to listen to albums and visit with its owner, Silvia Rodriguez. The store is more sparse now. Gone are the racks of LPs, cassettes and CDs that once packed Discolandia to the brim. After 38 years in business, pressing cultural and economic times threaten to close the neighborhood doors that Tito Puente and Celia Cruz once walked through. “Discolandia is the only place to buy the classic music,” said Rodriguez. She carries boleros, Cuban salsa and anything from the 1950s, ’60s or ’70s — still her strongest sellers. 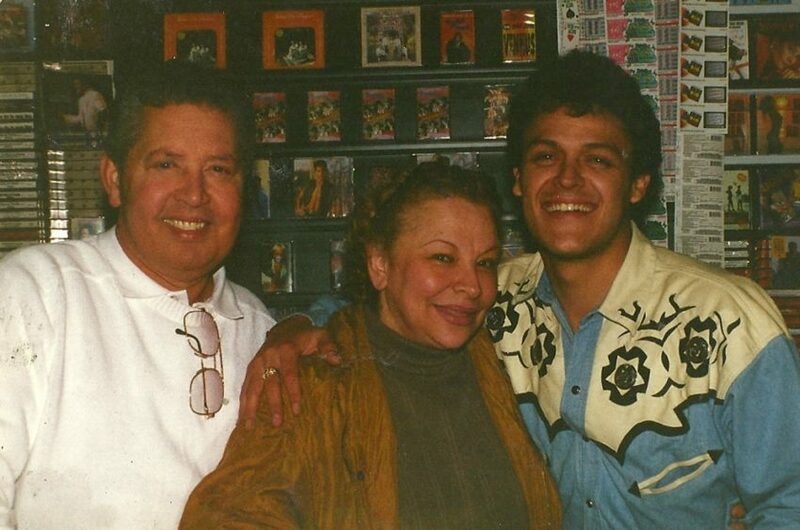 Rodriguez settled in the Mission and continued her music education at a record shop called La Moderna Poesia, the Modern Poetry, becoming more fluent in the sounds, styles and musicians of the 1950s’ cha cha cha, charanga and salsa music scenes. Then she moved on to another store, La Casa de los Discos, the House of Records. In 1962, at her mother’s suggestion, she bought the store she was working in. For $500, she got a store full of merchandise and rent paid through the end of the month. Her first buying trip meant riding in a truck bound for Los Angeles to find more music. She was 19 years old. Silvia and her husband laughing with famous Mexican singer Pedro Fernandez. 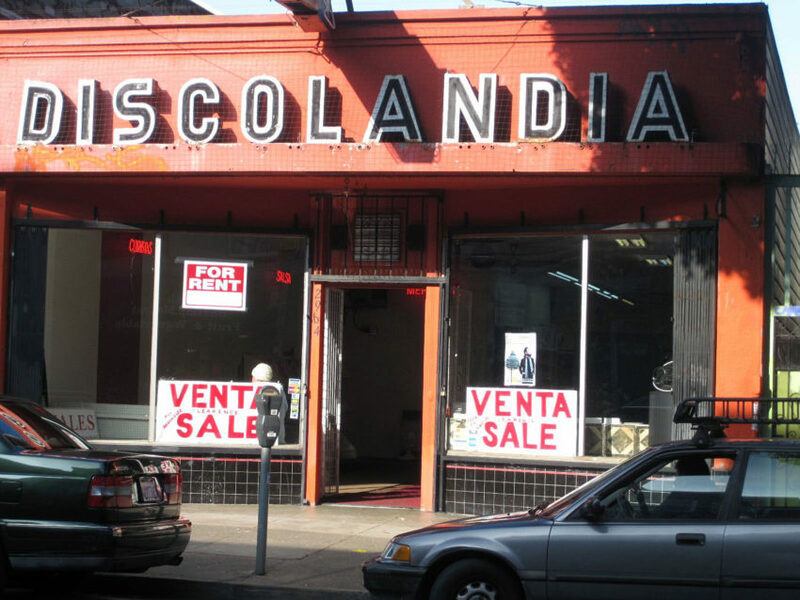 She removed a portion of the sign and renamed the store Discolandia. “I made $40 dollars that first day in record sales,” she said recently. Throughout the years, Discolandia did more than just sell records — it also sold birthday cards, loaned movies and took passport photos. “This place was everything salsa for everyone,” Rodriguez said. “We didn’t discriminate. Mexicans, Peruvians … all salseros entered the store.” Everyday folk and famous people dropped by. Oscar D’León posing with Silvia. Ismael Miranda, the famous Puerto Rican salsa singer, would buy old Cuban LPs of guanguanco and guaracha music for inspiration. 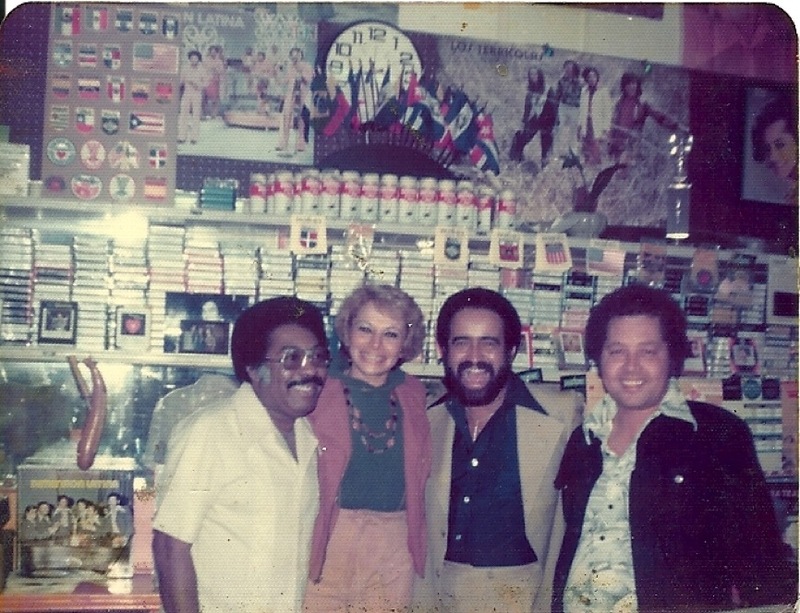 Oscar D’León, a Venezuelan salsa star, would come by to drink Cuban coffee and buy records and listen to songs that were older than himself, Rodriguez said. 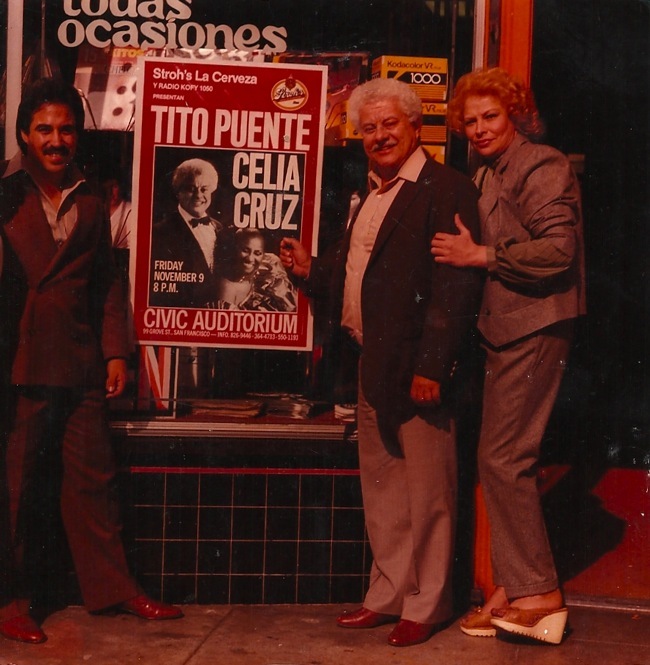 Tito Puente, a famous Puerto Rican timbalero, began to drop by after he saw Celia Cruz make a stop there. Rodriguez said that sales began to decline in 2004, but business really took a hit beginning in 2008. With the explosion of Internet music sales, the ubiquity of pirated music and the downward economy, sales have been slow. Where Rodriguez used to order 25 copies of an album, now she orders one. Four years ago, she even considered selling the business. Which may have something to do with why she hasn’t retired. Financially, she can live without the store, but there’s more at stake here. If you would like to be a community SNAPP Contributor, you can download our iphone app. Download Here, or you can Upload Your SNAPPS Here, or you can send photos to missionlocal@gmail.com. Silvia,Bill and their family were lovely people.i started going to their store when it was across the street. I miss them.